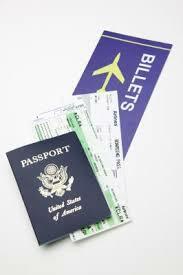 How to reduce the cost of air tickets before making the purchase? You saw your dream destination in one of the tourist guides and suddenly it comes to mind to find out about the cost of a round-trip plane ticket. Out of curiosity, you look on a site that sells tickets. The price seems good to you, so you discuss it with your spouse or significant other. You come back and oh goodness, the cost has increased, but only by a few euros. Your every move is registered and even more so when you are connected to your company account. The great day of buying your flights has arrived. Heck! The cost has increased significantly. Your stress increases and the price raises questions. Fear of a further spike in the cost arises. As you are under stress and the flight booking company knows it, they believe you will make your purchase shortly. There are several points you need to know to save. First, you should not do your research when connected on your local travel agent account. Moreover, according to your trend research on the computer that you are on, you can be sure that they keep track of your interests. Each well-referenced website on Google has sent items to other websites. Thus, they know in advance what you want at this moment in your life. We invite you to make the purchase of your tickets on another computer with another internet connection, so that you limit the information received to the site before making the purchase. In addition, we strongly suggest using the browser Google Chrome in Incognito mode. Thus, you increase your chances to reduce the cost, since this mode does not transmit information. You could end up paying more than the real price that you should pay. These are just some simple tips that impact the consumer and the traveler. High prices are a real reason not to visit your dream destination!